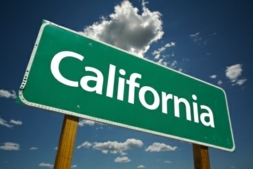 The great state of California is an unofficial symbol for the American dream. The extremely powerful economy that includes a world center for computer technology and entertainment draws all walks of life to state of California in hopes to fulfilling their lifelong dreams of success. To succeed in this highly competitive environment requires that serious professionals need to gain a competitive edge to stand out amongst their swarm of competitors. Our team of projector specialists at Rental Projectors Corporation is always ecstatic to talk to our potential clients in California about the countless ways a potential client can utilize LCD projectors to skyrocket their professional image over the heads of their competition. The advancement of projector technology has given professionals in CA the power to look professional when presenting with their LCD projector, and also the power to be creative and stand out from the rest. The days of wooden podiums and chalkboards are giving way to an advanced age of DLP projector presentations that will capture your audiences’ attention with bold, striking text and multimedia rich with vivid color. Our renting specialists know that DLP projectors are always advancing with new ways to make operating a premium projector a more efficient process. This is one reason why having our unrivaled renting specialists available to our clients in CA proves to be a much needed resource during their rental process. Our specialists are exceptionally trained to update our clients in California with information on new components in LCD projectors that make their presentations run more smoothly. The new USB Plug and Play technology allows a projector to connect to almost any laptop or computer easily and gives the presenter more options on where they can choose to set up their PowerPoint presentation. Advanced presentation equipment now allows for presenters to adjust their equipment to accommodate their presentation environment by offering a wide range of brightness levels so their projection will appear in sharp focus from edge to edge. We make sure that our clients are always aware of these advances so they can get the most out of their rental when they present in CA. Potential clients in CA can rest a little easier knowing that our specialists are always readily available to them during their entire rental process. They can contact them by phone or email for any questions or concerns about their DLP projector or discuss any unseen circumstances that may arise when presenting in California. Our specialists make sure that our potential clients can spend less time focusing on their presentation equipment and more time focusing on their pivotal presentation. When our potential clients in California rent from RentalProjectors.com they can be certain their image is in the hands of true professionals.